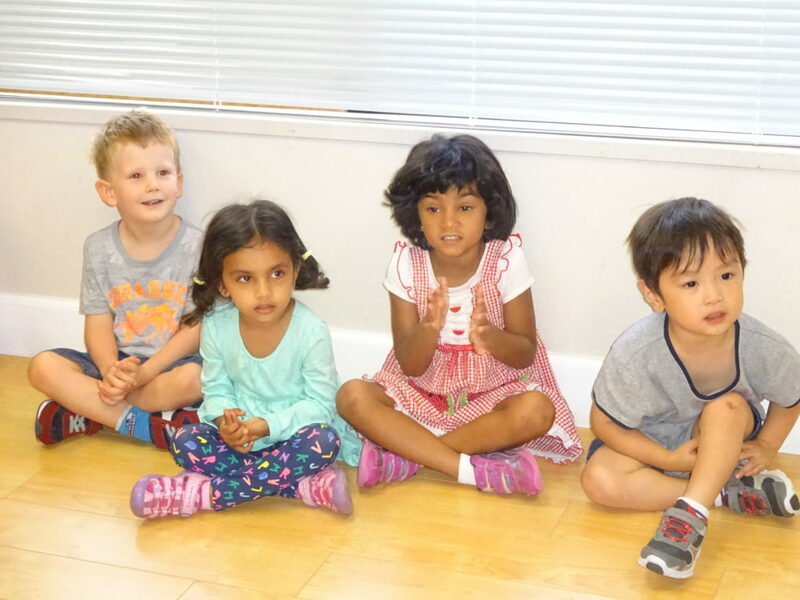 Maria Montessori recognized the spontaneous interest that arises within each child at this age. It is through the child’s interest and active engagement that the love of learning arises. Our Montessori certified teachers observe and record each child’s individual progress, knowing when to allow a child to work with genuine interest, or when to introduce a new challenge or point of interest. We are one of few true Montessori preschools in Poway, CA. Our preschool education classrooms (known as the “The Ladybugs,” “The Bumblebees”, “The Dragonflies”) offer a rich variety of opportunities for children to experience freedom within a secure, attractively structured and welcoming environment. Maria Montessori recognized the spontaneous interest that arises within each child at this age. It is through the child’s interest and active engagement that the love of learning arises. Our Montessori-trained teachers observe and record each child’s individual progress, knowing when to allow a child to work with genuine interest, or when to introduce a new challenge or point of interest. 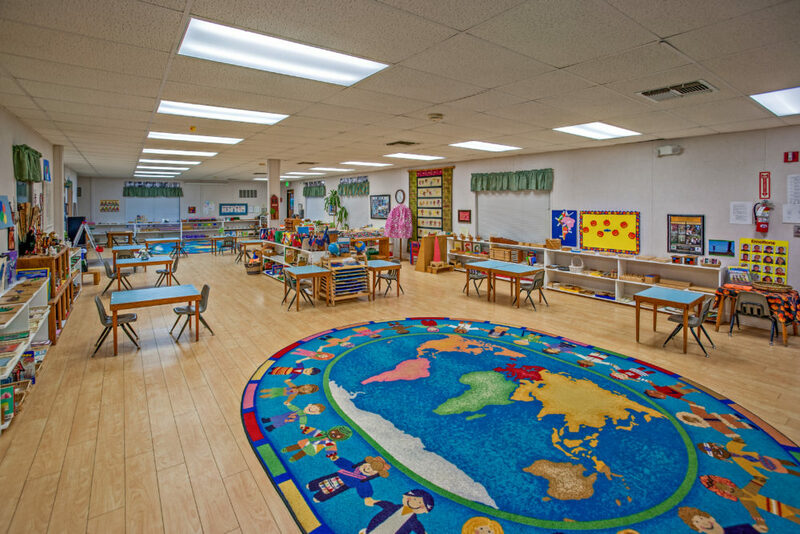 The Ladybug, Bumblebee, and Dragonfly classrooms our staffed with Montessori-credentialed teachers and assistants. Our classroom will not exceed the California State ratio of 1:12. Our early childhood classrooms have the capacity to hold up to 36 students. 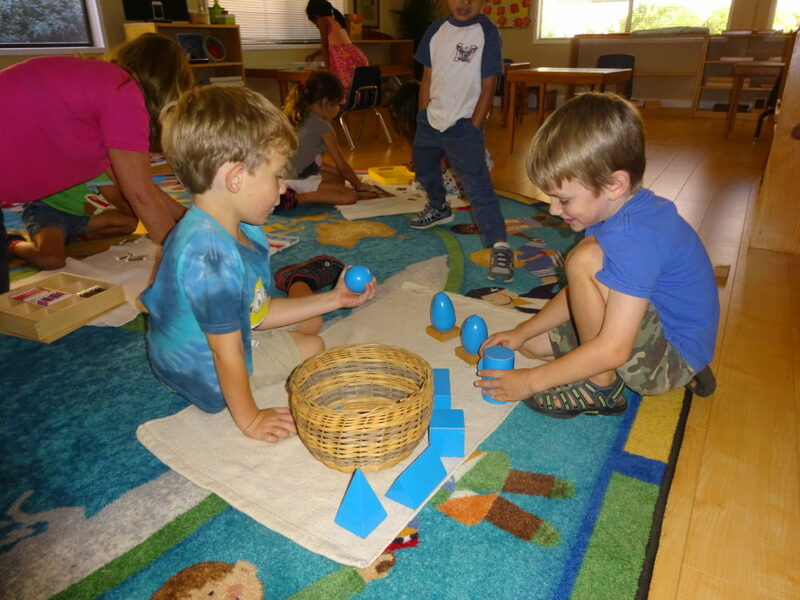 The ECE program provides a 3 year sequential Montessori curriculum for 3 to 6 year olds. The mixed age group allows a spirit of community and family to grow. The older children experience the joy of helping the younger ones, thereby crystallizing their own knowledge and paving the way for the younger ones to learn and grow. Children have the freedom to work with others who share their interests and level of ability, regardless of age. Children remain in their classrooms for the full three years, culminating in the child’s Kindergarten year. The ECE environment in The Ladybugs, The Bumble Bees, The Dragonflies offer an integrated and developmentally based approach to educating the whole child. Building and developing a child’s focus and concentration skills are a prerequisite to the successful introduction and mastery of academics. At the end of the three-year cycle of the ECE program, the student is ready to move to the next three-year expanse for 6 to 9 year-olds in the Lower Elementary program. The ECE teacher determines a child’s readiness for the Lower Elementary program. Why Doesn’t My Primary-Age Child Bring Their Work Home Everyday? On any given day, your child has the opportunity to select his work. 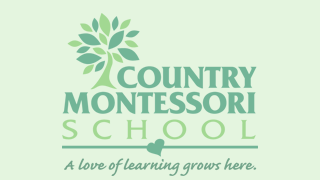 Our authentic Montessori environment at Country Montessori School provides many opportunities from which to choose. Children are presented lessons for a work and then given the opportunity to practice it themselves until they master it. The teacher records their progress as they practice and learn a lesson. Children develop concentration through practice and repetition of a lesson. This can last a short period or span a few days, depending on its complexity. Your child is constantly working, observing, and learning in the room. It just may not be physical work that goes home frequently. Parents are encouraged to make an appointment to observe their child working. The visit will give you more insight of your child. Sensorial Exercises in the Montessori classroom are designed to help a child’s sensory integration. Sensory integration is the way the nervous system processes information from the senses. Sensory integration is the brain’s and nervous system’s ability to organize stimuli. When sensations flow in an organized manner, the brain can use these sensations to form perceptions, behavior, and learning. 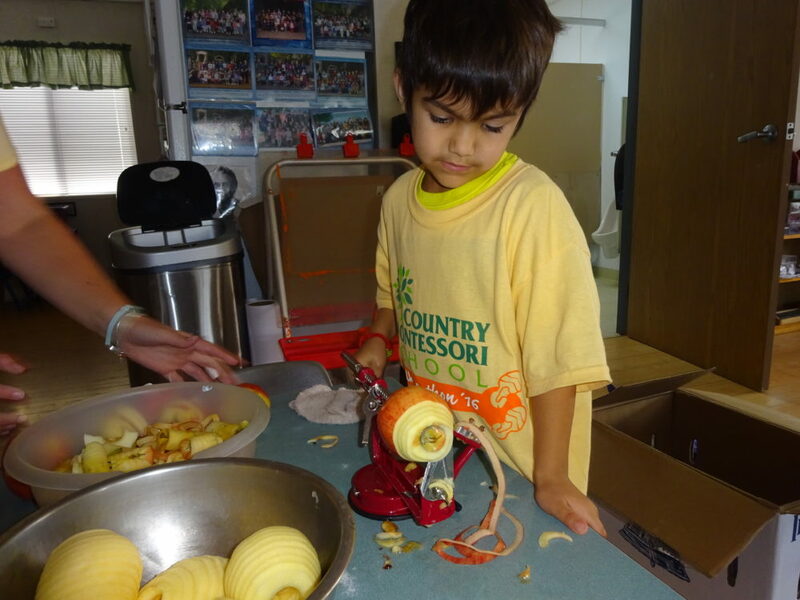 The ECE program at Country Montessori includes sensorial exercises such as gradations of color, dimension, sound, tactile impressions, comparisons of smell and taste, geography, and geometry. The Early Childhood Education Classroom provides an immersion for the child in language development. Muscular movement and fine motor skills are developed along with the ability of the child to distinguish the sounds which make up language. With this spoken language background the teacher begins to present the alphabet symbols to the child. Not only can children hear and see sounds but they can feel them by tracing the sandpaper letters. When a number of letters have been learned the moveable alphabet is introduced. These wooden letters enable the child to reproduce his own words, then phrases, sentences, and finally stories. Creativity is encouraged and the child grows in appreciation of the power of language. Other materials follow which present non-phonetic spelling and grammar. Because children know what they have written, they soon discover they can read back their stories. Reading books both to themselves and others follow. A child’s introduction to mathematics in a Montessori classroom begins with concrete manipulatives for introducing numbers, shapes, mathematical operations, and the decimal system which leads the child to abstract mathematical ideas and relationships. Through sensorial experiences, the child has seen the distinctions of distance, dimension, graduation, identity, similarity, and sequence and is introduced to the functions and operations of numbers. A child learns abstract mathematical concepts by learning to add, subtract, multiply and divide with the use of concrete materials. songs, music appreciation, and introduction to composers. creativity and expression in multiple mediums. language, music, and storytelling relative to the culturally-rich Hispanic peoples and countries. - Computer class takes place for the Kindergartners once a week at various times. - P.E. takes place during the outdoor playtime for Kindergartners.